The well-being of a patient has a wide influence on his recovery. 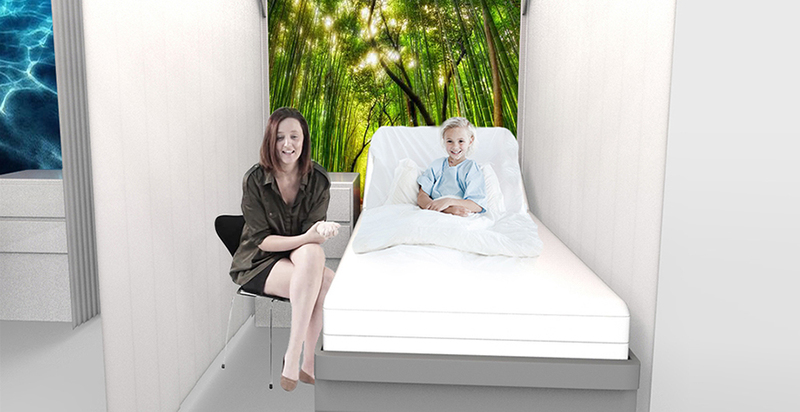 A redesign of the hospital rooms with more order and individuality shall induce a more pleasent atmosphere for both patients and nursing staff. A sort of a baldachin together with curtains creates a space to calm down, feel well and have privacy for the patient himself and also for visits of the doctor or relatives. 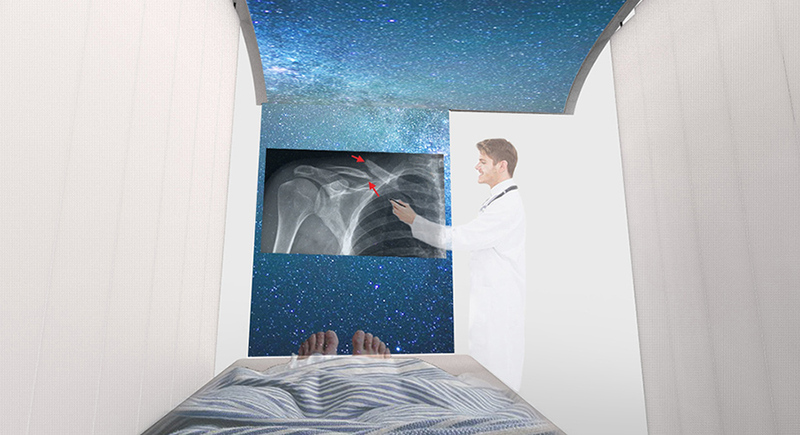 A display over the whole surface can screen atmospheric pictures or applications (available in an App-Store), which additionally stimulate and entertain the patient. Various studies proved that solely the calming effect of illuminated ceilings contributes a lot to the healing process. It therefore reduces the medication requirements and shortens the stay in the hospital. Our further developed product shall increase this positive effect. 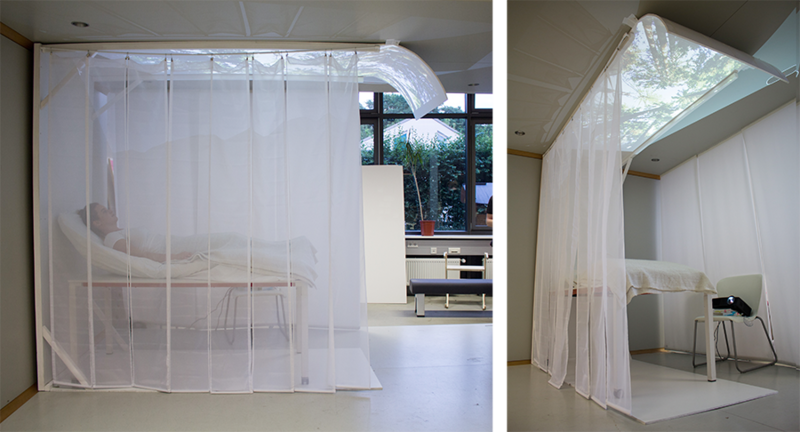 With aid of a 1:1 prototype we tested the optimal position for the workspace, so that it is located in a good field of vision for the patient. Here various applications find their place - from ordering food to play movies and games or even external applications like Skype and more. 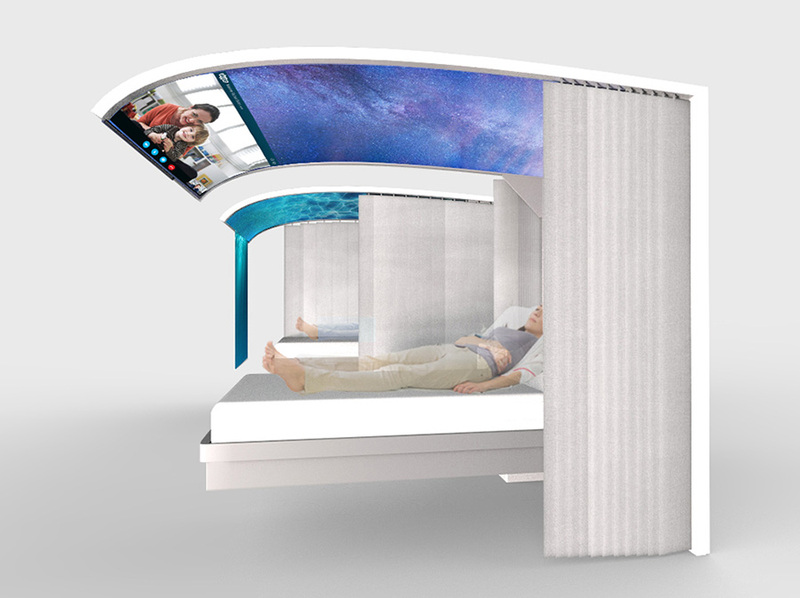 For doctor’s explanations and visualizations or in general as an expanded screen for the patient’s usage there is an additional extendable oled-surface in the front. 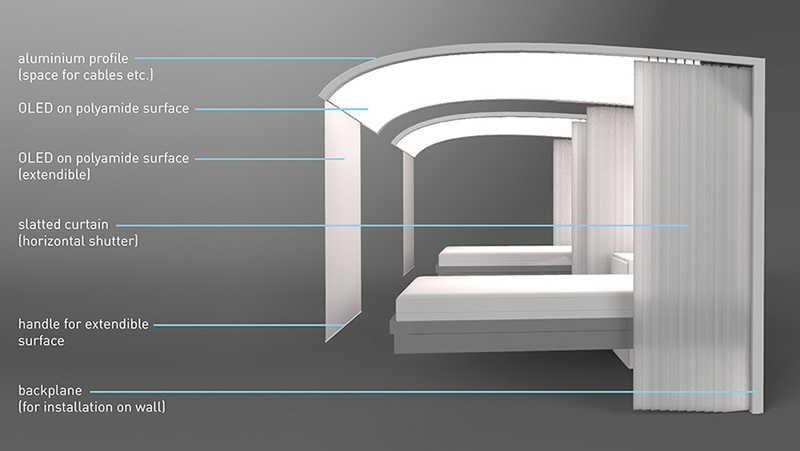 Due to the integrated bedside table automatically is enough room for visitors between the bed and the curtains. In a double bedroom the curtains can be opened and thereby makes a large room. Like this but also with both curtains closed a comfortable room with enough privacy is created. 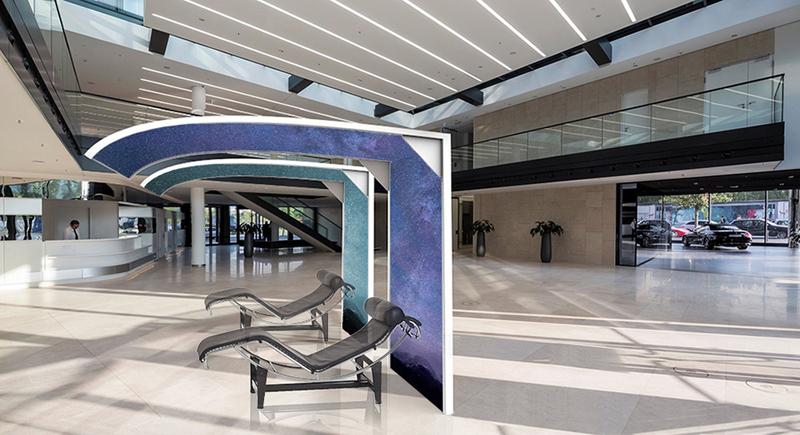 This product not only finds its usage in hospitals, it suits perfectly for rest and waiting areas at airports, public places or offices. It might even be interesting for private use - because who doesn’t like the possibility to relaxe under the night sky, a leaf canopy or a sunset?